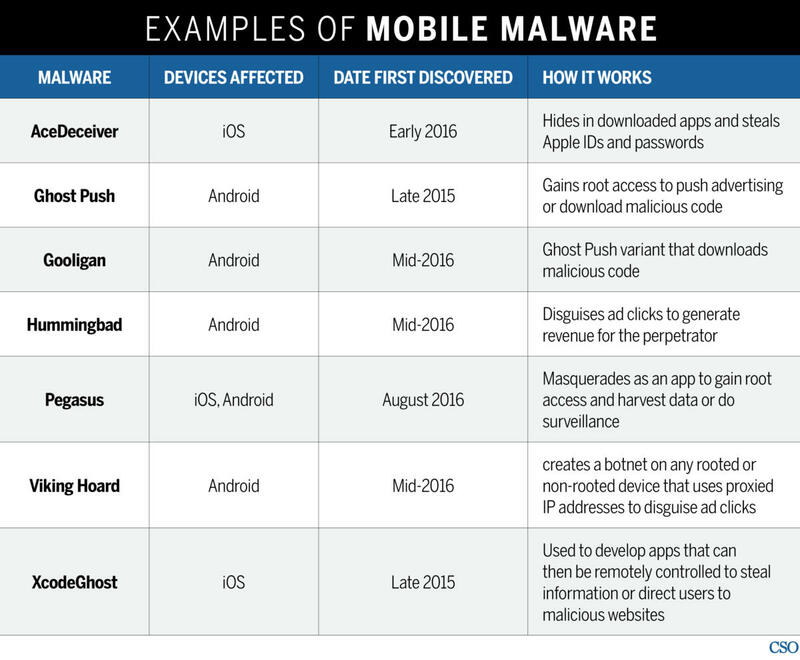 New malware can quickly turn legions of mobile devices into a botnet that is controlled by hackers without the knowledge of their owners. The first mobile botnet targeting Android devices, dubbed Viking Horde , was revealed just over a year ago. Viking Horde created a botnet on any rooted or non-rooted device that uses proxied IP addresses to disguise ad clicks, generating revenue for the attacker. Since then malware researchers have identified about a dozen more mobile botnets, including Hummingbad, which infected over 10 million Android operating systems in mid-2016. User details were sold and advertisements are tapped on without the user's knowledge and in doing so generates fraudulent advertising revenue.